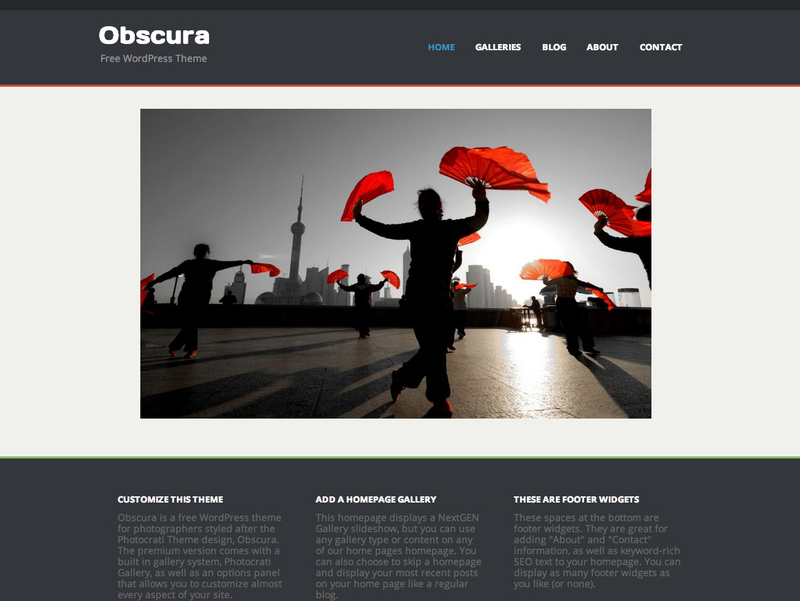 Obscura is Photocrati’s 1st free photography theme for WordPress.Designed after a popular Photocrati preset, Obscura is a clean, simple, classy two-column theme, fit for any business website or photography portfolio. This photography WordPress theme is mobile friendly, so go ahead and share your website from your phone or tablet to your friends and clients! The theme also supports the popular NextGEN Gallery plugin to display and manage your online photo galleries. Create a homepage with a gallery or use Obscura as a blog with the default WordPress settings. 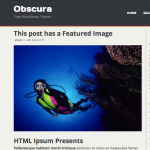 Obscura uses the WordPress Featured Images option and displays a full width (to the content area) image below the post title and byline. The featured image is also displayed in the archives when only an excerpt is showing. When this happens, the Featured Image shows as a small square aligned to the right. Easily change the content area background color of Obscura. Use the built-in WordPress customization settings and choose your favorite color. Don’t want to use a solid color? 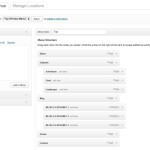 Use the built-in WordPress background image settings and upload any image of your liking and use it for the content area. Don’t rely on automated menus. 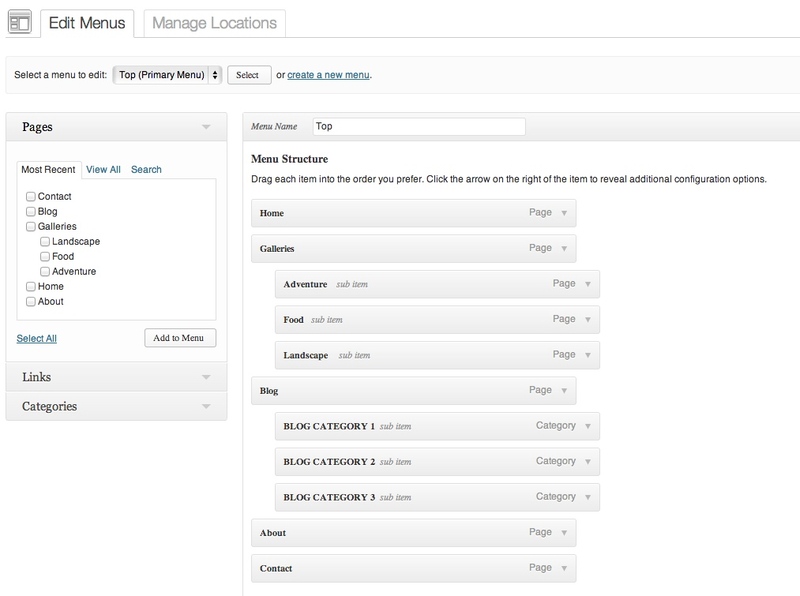 Use the WordPress menu settings to customize your menu parent navigation links and its dropdowns. Add your own footer content like your copyright. Use the built-in shortcodes options for dynamic date changes and more. Want to convert your website from a blog to a full website? Change the homepage from latest posts to a static page and watch your website transform. 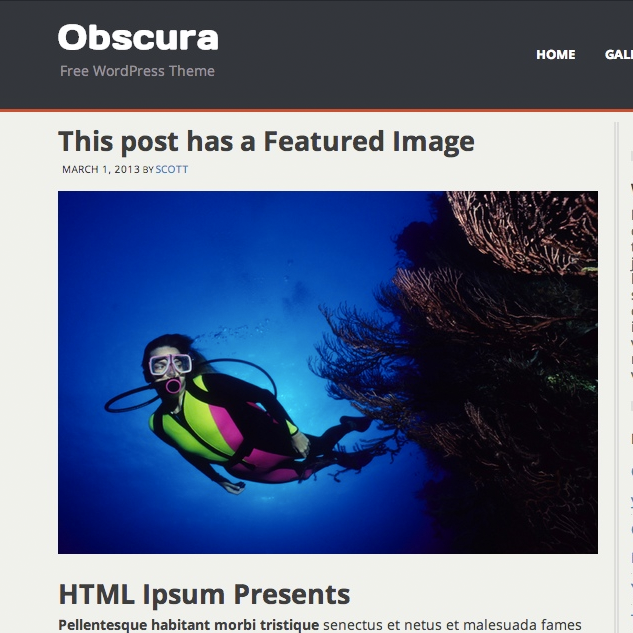 The Obscura theme has many widget areas including footer, sidebar before and after post content and more. 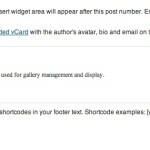 Add plugin created widgets or your own HTML to personalize your website. There are two ways to install the Obscura theme. Once the install process is complete, click ‘Activate’ and you’re done! Installing Obscura manually requires FTP familiarity and the awareness that you may put your site at risk if you install the plugin incorrectly. Backup your site completely before proceeding. 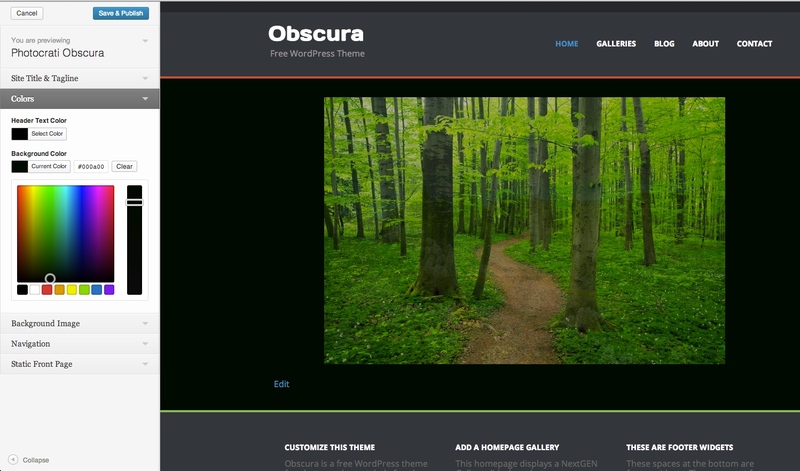 Download Obscura .zip file to your desktop. Extract the theme folder to your desktop. Read through the “readme” file thoroughly to insure you follow the installation instructions. With your FTP program, upload the Obscura folder to the wp-content/themes folder in your WordPress directory on your server. 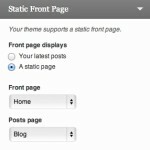 Go to your WordPress Dashboard >> Themes and find the newly uploaded theme in the list. Click Activate Theme to activate it.